First there was the Sky Park Tower proposal with its five level park at the tower's summit. Then came a protracted Council and VCAT process which ultimately saw approval for a redesigned proposal. A few short months ago proponents Shanygi Group listed for sale 17-23 Wills Street as a prime development site with permit in place, and now after years of maneuvering Wills Place is finally slated to begin its apartment sales campaign next month. Wills Place as it is will be known has had a very public profile since it's inception, with the peak of public interest and debate surrounding the proposal's desire to build to its northern boundary, effectively dimming the adjoining 'light shaft' of the Wills Court development. 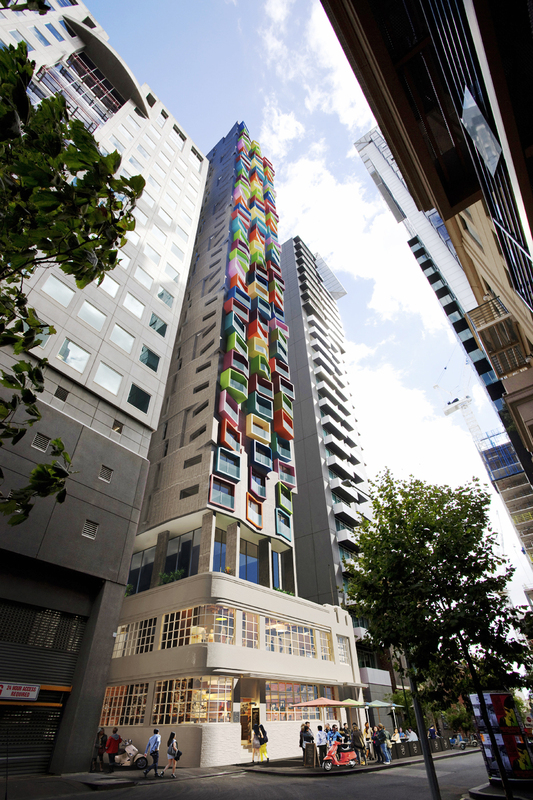 In order to negate the possibility of plunging the adjoining building's balconies into perpetual darkness, 17-23 Wills Street received setbacks and a colourful new facade to boot. The proposal and its VCAT success were covered in depth on Urban Melbourne during November 2013. 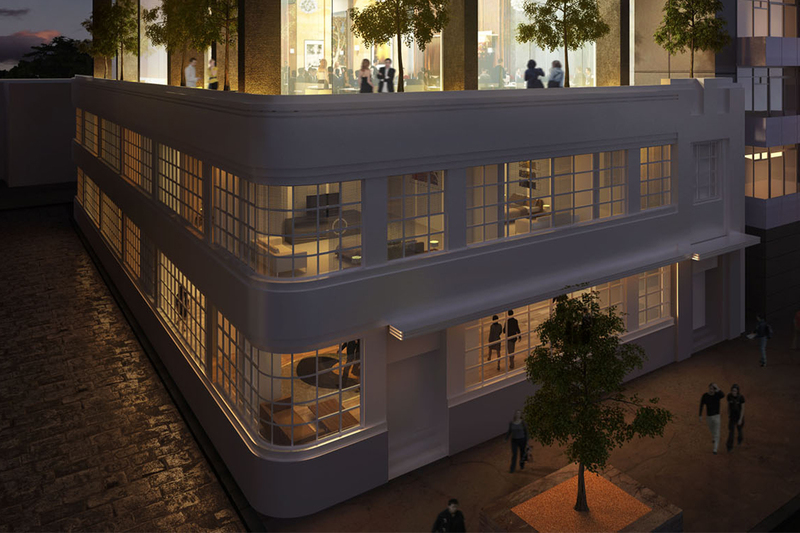 Subject to a variety of different configurations in the past including a hotel component, Wills Place will now deliver 200 apartments above the retained Art Deco podium. Gone is the Sky Park in favour of a more traditional tower format, albeit with a vibrant exterior which will set the tower apart from its immediate neighbours. The latest of a string of apartment tower developments in the north-west corner of Melbourne's CBD, Wills Place follows the recently completed Istana and Grand 8 apartment projects. 386-412 William Street and the adjoining Victoria Market dual residential tower scheme look set to be the next residential projects of note in the popular pocket. The Wills tower is a departure from the typical extruded plan typology. Our objective for this project was to design an alternative vertical building form from a series of stacked floor plates expressed as individual volumes, as opposed to one large extruded volume with a repetition of window and balcony expressions. The result is a highly articulated rectilinear building that is expressed and narrated horizontally. The penetrations and balconies are intergrated within each volume which creates the architectural syntax. A beautiful 1930’s Art Deco building covers the entire footprint of the small site which we retained and integrated as part of our design response. The tower building is inserted within the envelope of the Deco building and sits on a series of large columns that penetrate through and beyond the existing building thereby creating a complete separation between the old and new. One of the pioneering Chinese developers which entered the Australian market in 2008, Shangyi Group completed their first Melbourne project during 2011 - an eight level apartment block dubbed 'Sunshine' in North Melbourne. With a focus on residential projects the developer currently has Spectrum Apartments under construction in Box Hill. 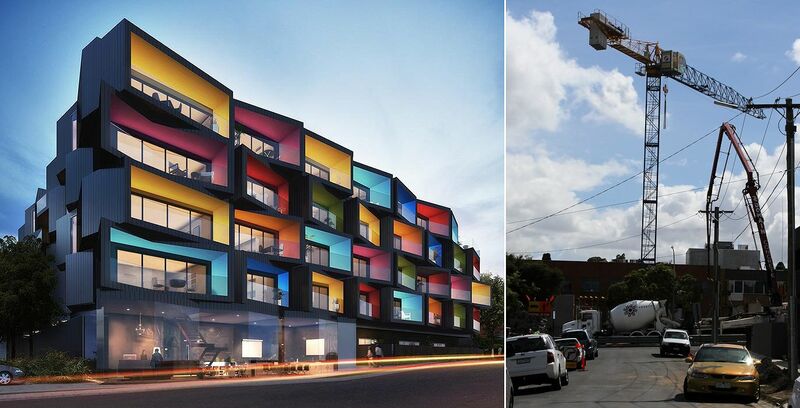 While Spectrum and Wills Place carry the same architect and the same penchant for exterior colour, Shangyi Group are also behind a current townhouse project in Doncaster, and are due to follow with another project in Box Hill shortly. Located on Wellington Road and within an area experiencing intense urban regeneration, it's expected Shangyi Group's new project will be in the vicinity of six levels.